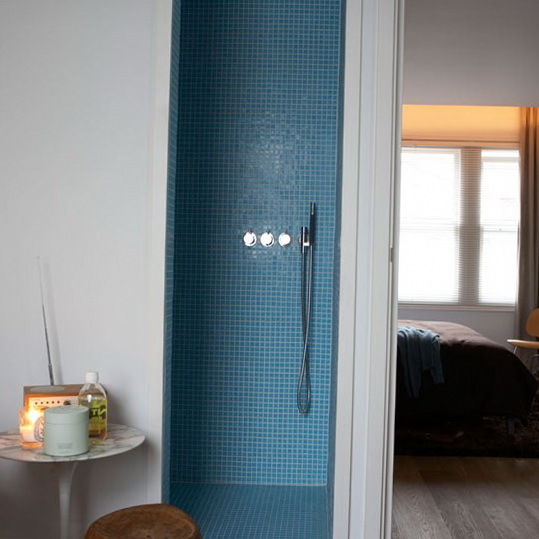 Showers don’t have to be white and clinical. 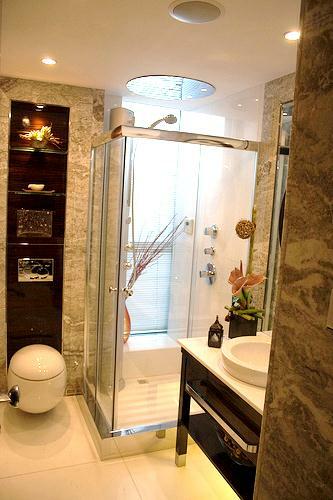 This luxurious shower room features a built-in shower unit which gives the room a wet room feel. 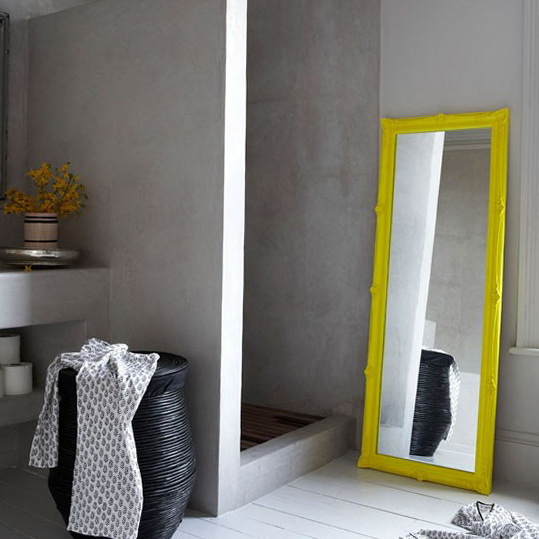 A mirror, painted in a zesty lemon yellow, brings colour to the scheme, while chic accessories like the linen basket, add warmth and texture. 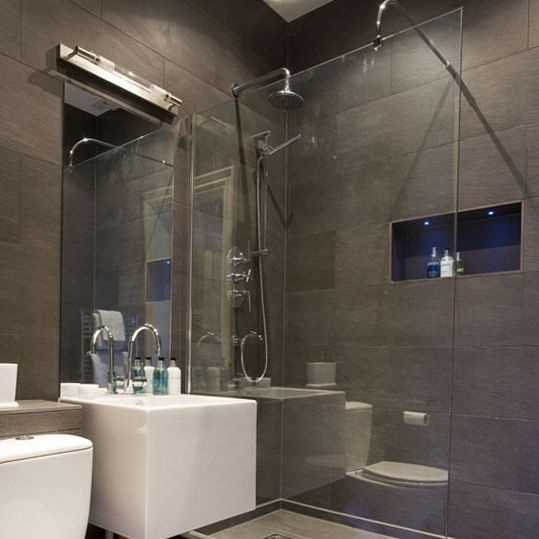 The epitome of sleek masculinity, this shower room in black and brown has a boutique hotel-style feel. Bespoke wood fittings and mirrored cabinets are ideal for clearing clutter to leave the room looking stylish and sophisticated. 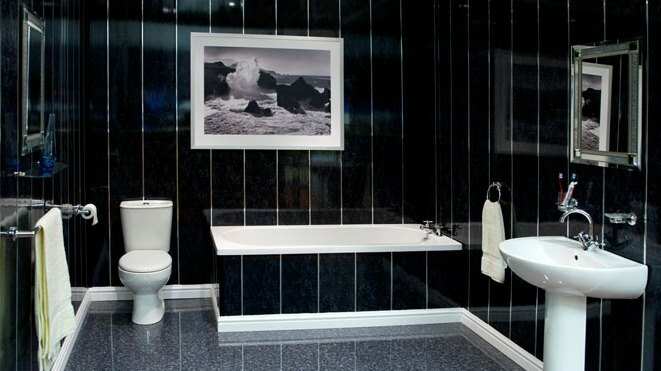 This blue shower room with mosaic accents is reminiscent of a spa – perfect for a spot of pampering. 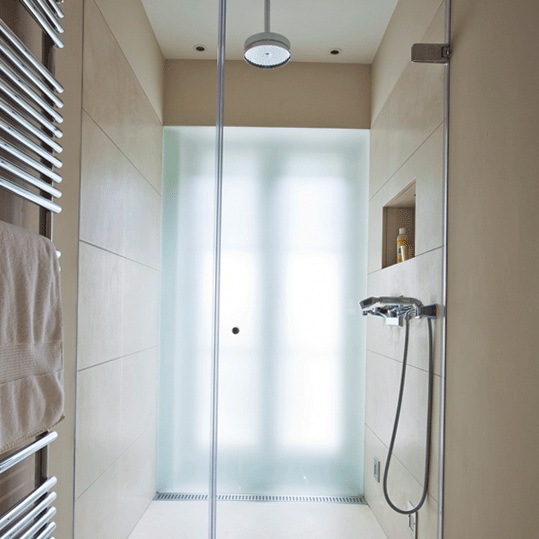 This clean and airy limestone shower room is perfectly sleek and luxurious thanks to simple fittings and a space-enhacing glass screen. 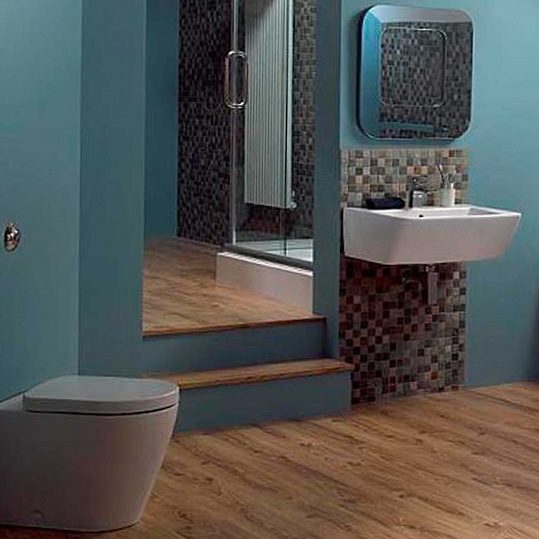 A wall-mounted toilet and vanity unit maximises the floor space in this compact shower room, while light limestone tiles, chrome surfaces and a large mirror ensures the space feels larger and brighter. Don’t have much space? 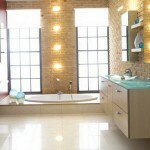 A shower doesn’t need to take up much room, so it’s the perfect way to make the most of unused space. Slot one in in a walk-in cupboard or under the stairs. 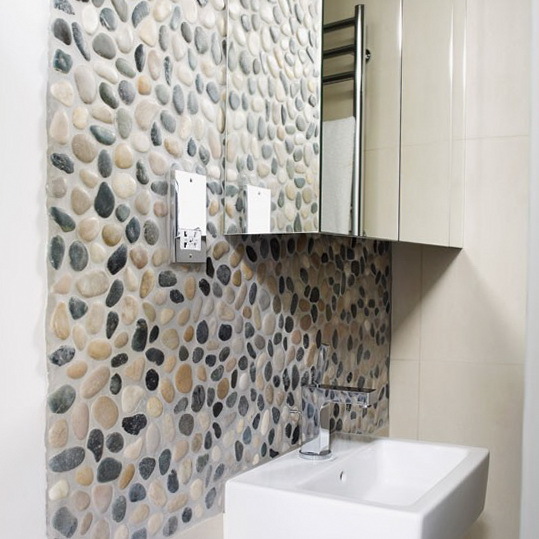 Pebble tiles create an impact in this plain white bathroom. 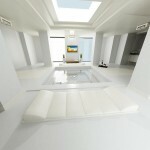 These tiles have been extended onto the ceiling, which increases the feeling of space. Large grey tiles create an ultra-modern look in this shower room, while a chunky, box-like sink gives the space a distinctive Modernist look. 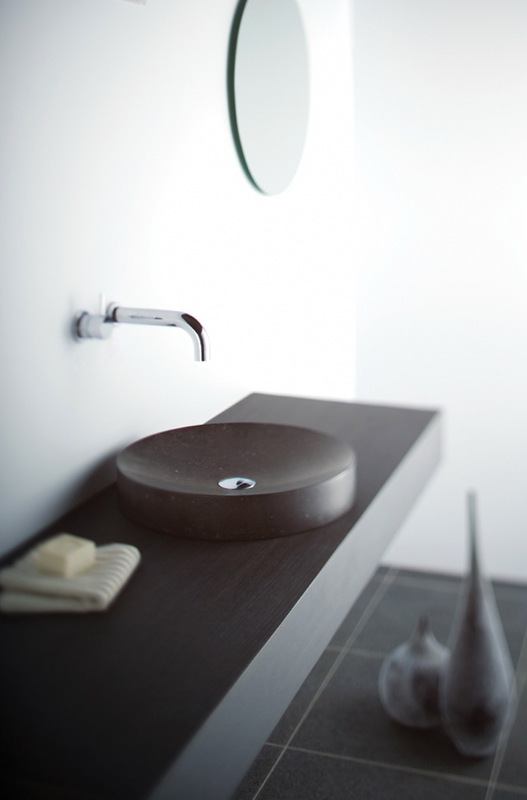 A recessed shelf is useful for keeping products easily to hand, while LED bathroom lighting adds a touch of drama. 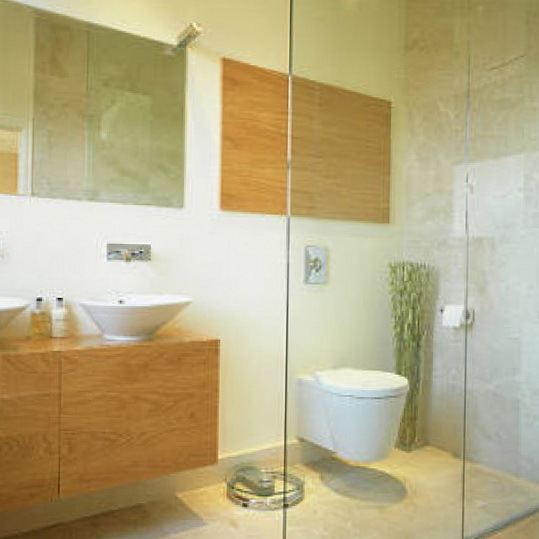 For a crisp, clean look, go for an all-white shower room – perfect for minimal decor. 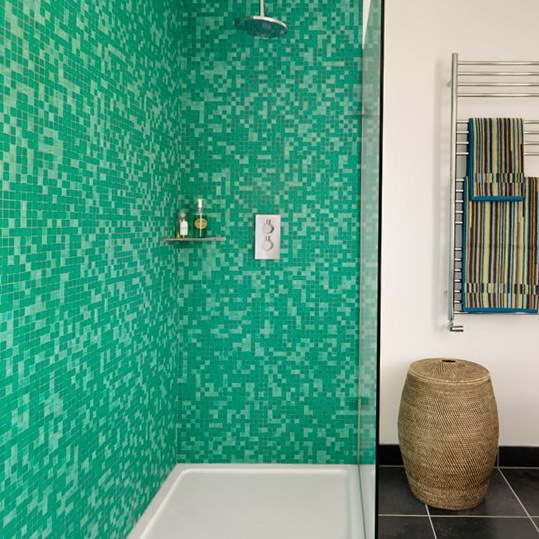 The green mosaic tiles on the wall of this walk-in shower, teamed with plain white and grey slate floor tiles, keep the look smart and urban, whilst seperating the shower cubicle from the rest of the room.